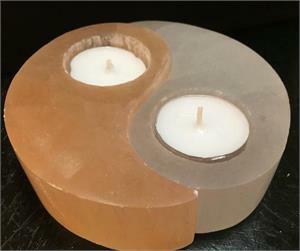 This Yin Yang Tealite Holder is made of Tangerine and white Selenite. Lovely when lit, it adds class to any decor. 5" x1.5" it is the perfect size for a table, altar or bath.